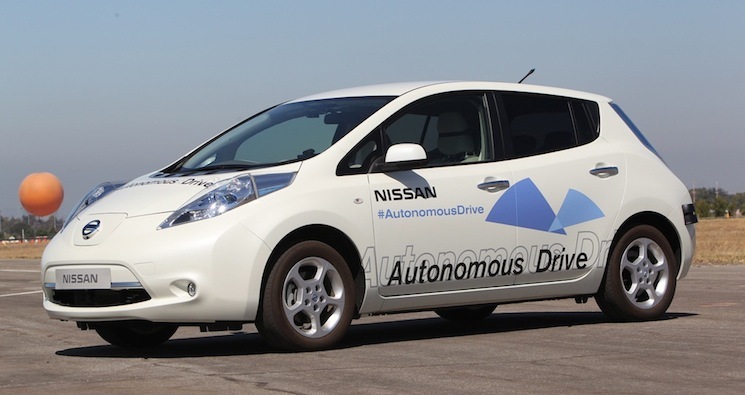 Nissan says that its engineers have already been carrying out research on the technology for years and that work is already underway in Japan to build a dedicated autonomous driving proving ground to be completed by 2014. Nissan is using an extension of its Safety Shield system, which monitors a 360-degree view around a vehicle for risks, offers warnings to the driver and takes action if necessary. Now hybrids are already awkward looking vehicles and Nissan says that a concept like autonomous drive will have implications throughout the design and construction of cars. We’re hoping we’ll see some good-looking cars. On the flip side of the argument against autonomous driving, Nissan reminds us that 6 million crashes in the US per year cost $160 billion and rank as the top reason of death for four- to 34-year olds. It also reminds us that 93% of accidents in the US are due to human error.